We are proud to announce that Local 47 President John Acosta will be honored by The Black Business Association, the oldest ethnic business organization in the State of California, at its annual Salute to Black Music Awards Dinner. 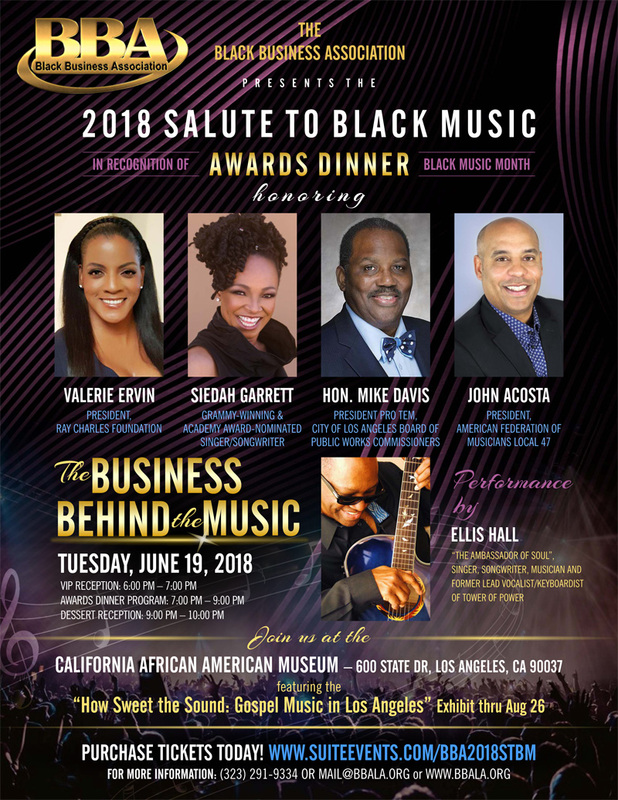 Held in recognition of African American Music Appreciation Month, this year’s theme is “The Business Behind the Music.” The event takes place Tuesday, June 19 at the California African American Museum. A reception opens at 6 p.m., and the program commences at 7 p.m.
Other nominees include Cathy Hughes, chairperson of TV One, and Steve Stoute, founder and CEO of Translation Enterprises. Dr. Dre has been selected to receive the Outstanding Achievement Award, and Kendrick Lamar will be honored for his Outstanding Accomplishment in Music. In addition, the California African-American Museum is featuring an outstanding exhibition “How Sweet the Sound: Gospel Music in Los Angeles.” Black music is a vital facet of American life and commerce, it touches all communities, and it demonstrates the enduring impact African Americans have worldwide. For more information and to purchase tickets, please visit BBALA.org. This entry was posted in All News, Events, Features and tagged African American Music Appreciation Month, Black Business Association, John Acosta, Local 47 President, Salute to Black Music on May 15, 2018 by admin.